Thanks to all my friends who gave me such nice feedback on my recent post on the Farm to Bay Event. I love culinary events! Roaming around, tasting bites, sipping cocktails, finding new favorite restaurants… What’s not to love? But why should I have all the fun? Who wants to join me at the Taste of Downtown next Thursday? Enter to win a pair of tickets below! And if you don’t win, you can use my code “BABYBIRDS” for $5 off tickets bought here. 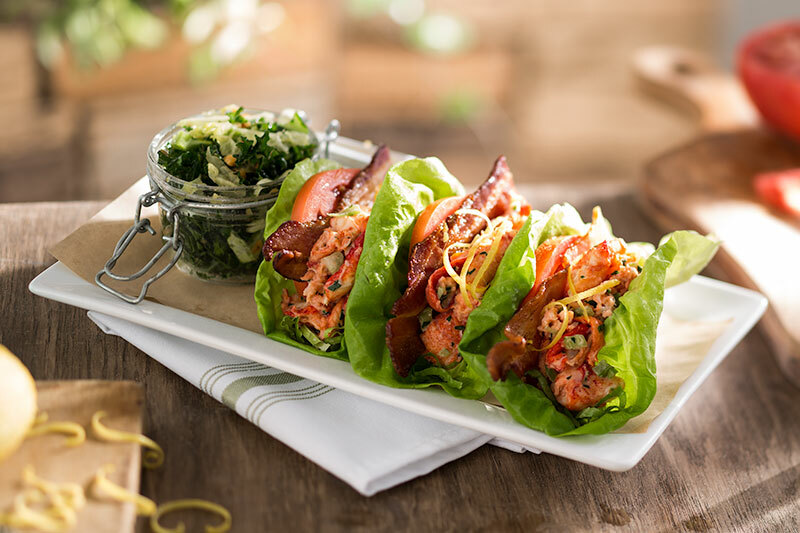 Over forty restaurants, including Bice, Dobson’s, Seersucker, Ocean Pacific Grill, Bandar, Ciro’s, Donut Bar, Blue Point, Rei de Gabo, Whiskey Girl, Blush, Seasons 52, Lotus Thai, Rustic Root, Biga, and more, will be trying to impress. Participants over 21 years of age will also have drink options. 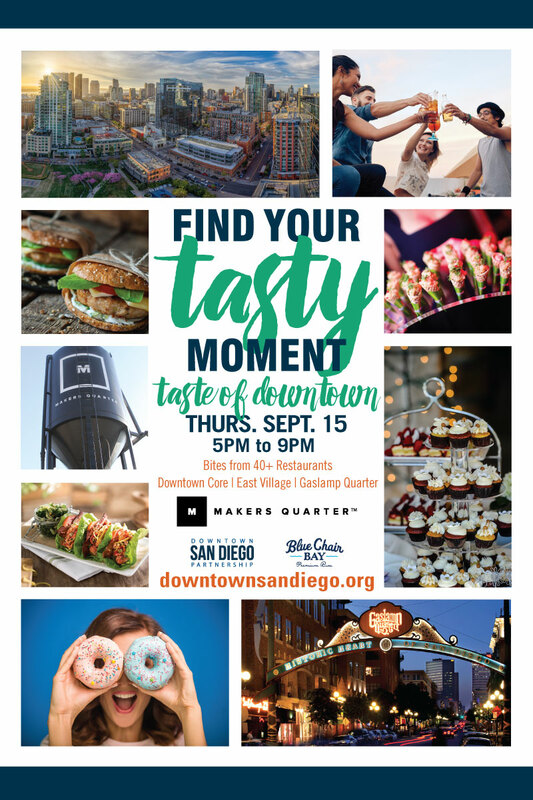 The Taste of Downtown is Thursday, September 15th, from 5 pm to 9 pm. Complimentary transportation is provided. At $30 presale ($25 with promo code “BABYBIRDS”) dinner and drinks is a steal! Who’s in? Email will be used solely for the purpose of contacting winner. I promise! Prize: (2) tickets to the Taste of Downtown. Winner must present at will call pick up at Rusted Root Restaurant. 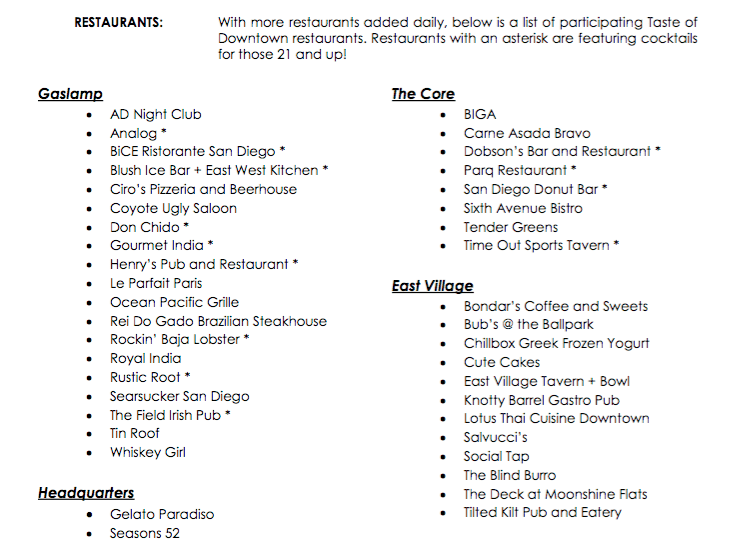 Want the inside scoop on which restaurants will have free drinks? Check out the ones with asterisks. Comment and let me know which restaurants we shouldn’t miss.